Posted on March 8, 2013 at 9:43 am. Many people think that acting is easy. That anyone could give it a go. This is actually true: anyone can give it a go and it is easy to be bad at acting. To be a professional actor requires professional training. Acting is one of the few professions in the world for which many believe that training isn’t required or can be done on the cheap. Let me put it this way: If you had to have brain surgery and you had the choice between a brain surgeon who had done a professional training or one who had been to a few classes and workshops, who would you choose? Right, you want the professional guy! Of course you do because he/she is going to be better. They have more knowledge, expertise and techniques under their belt. Okay, so now imagine a Casting Director who is casting a new BBC programme and they need to get actors who would be right for a particular part. Bear in mind that if they get it wrong, they may not get the next casting job. They have a choice between someone who has professional Acting School training and one who has done a few acting classes and workshops. Yes, the outcome is clear. So don’t delude yourself – you need to train professionally and anyone who says otherwise is quite clearly deluded. So, often I have seen people try to cobble together an ad hoc acting training and fail miserably. The fact is, professional training will lead to better results. However, training in itself is not enough. I have known actors who have been to the biggest drama schools in the country and do not succeed, and others who went to smaller schools and did succeed. So, why did this happen? Well, an actor’s success is down to the individual once they get into the industry. The training is there to enable the actor – the rest is then down to their application. Basically, an actor goes to continuous job interviews. Some they get, some they don’t. The reasons can vary but one thing is certain: the better trained you are and the more optimistic, the better your chances. 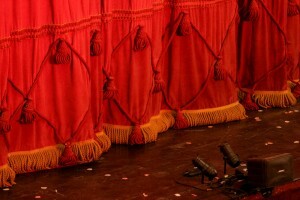 Don’t scrimp on your acting training. Get the best you can afford – and if you can’t afford it, save up. It will be worth it in the long run. If you trained as an accountant, lawyer or brain surgeon you would expect to invest in that training to be the best you can be. The same should be true when you consider training to be a professional actor. If you just want to do acting as a hobby then a few acting classes here and there is fine and enjoyable. That’s all you need to do. 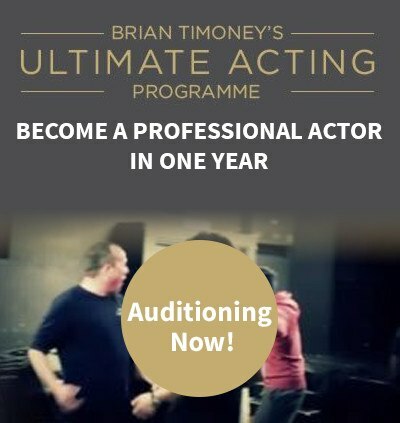 However, if you are serious about becoming a professional actor, then a whole different, more professional, approach is needed.